Share this product and receive a $4.60 sharing discount. 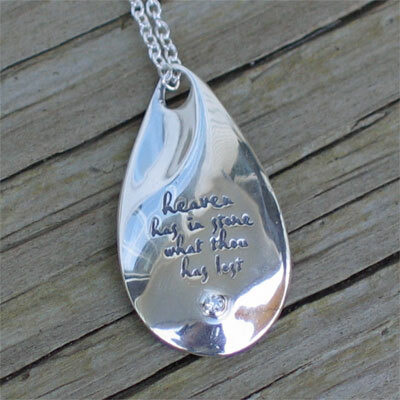 Softly formed, undulating sterling silver teadrop pendant is set with the brilliant light of a small diamond and engraved with the promising wording, "Heaven has in store what thou has lost." Each necklace is hand-finished and designed to be timeless -gift of love and inspiration that will last as a forever reminder of a loved one. 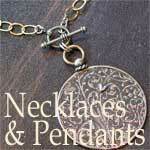 .925 Sterling Silver pendant 1 1/8" long by 1/2" wide. Hanging on an 18" sterling silver chain.